Create net new NetSuite records directly from Excel and push it up to NetSuite. 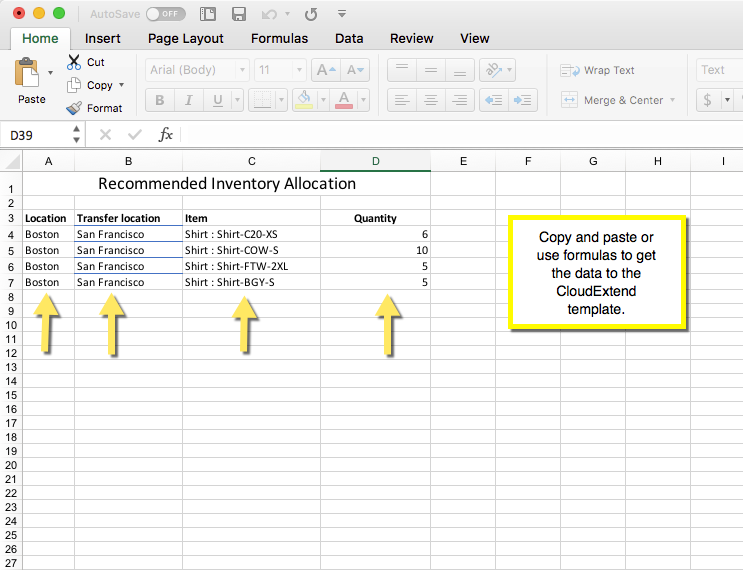 CloudExtend Excel tables already interact with NetSuite. When your table loads CloudExtend Excel begins to cache possible values for drop down fields in the ‘Picklist’ at the top right oft he Add-In. You can simply start entering values in Columns to begin. 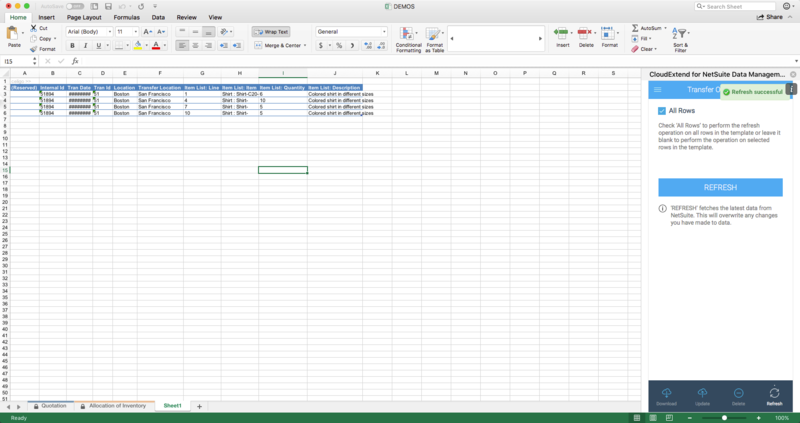 A more common use case, however, is for end users to use Excel formulas (or even copy/paste) to populate the table. On example would be transfer orders. You may have another worksheet with recommended allocation of inventory (1). 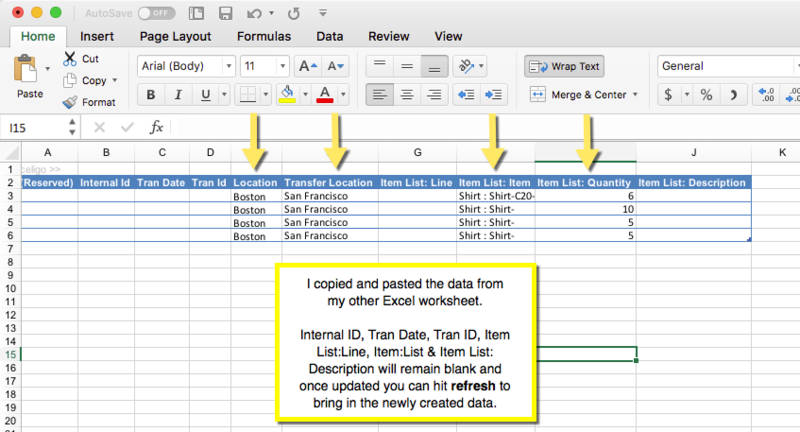 In this case I copied and pasted the data from that worksheet to my CloudExtend template to create a new transfer order (2). Once updated, you will see a new Internal ID has generated in green which means the transfer order has been created in NetSuite successfully (3). Now if you hit refresh you can bring in all the data (4).